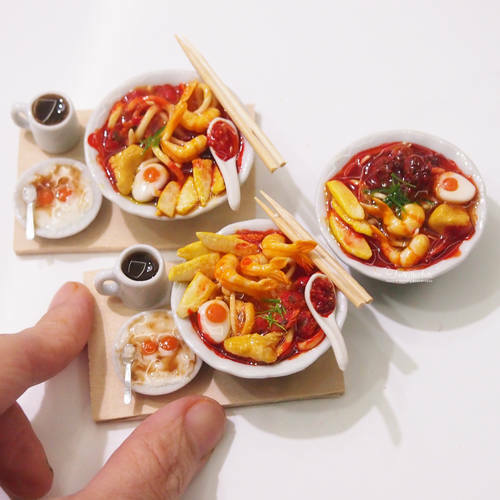 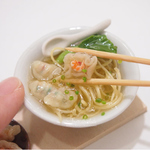 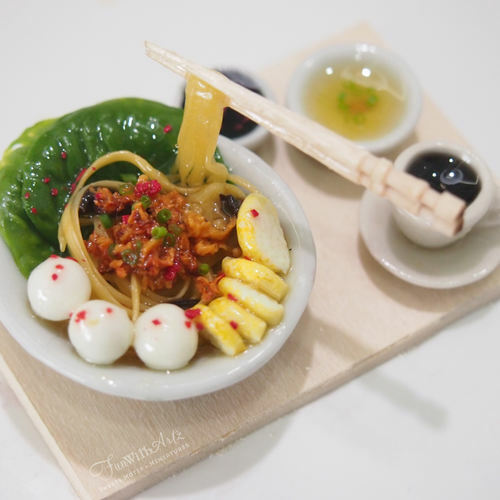 Explore & Make Miniature Food in Singapore. 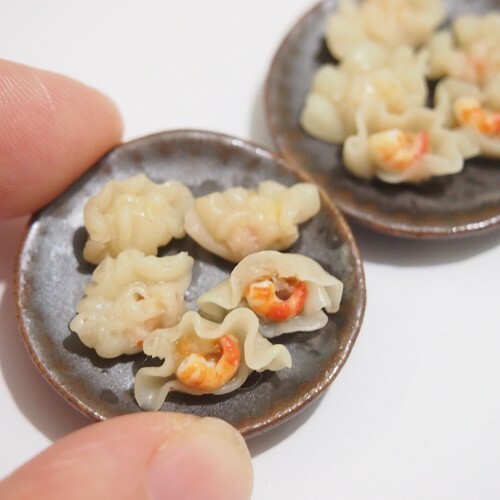 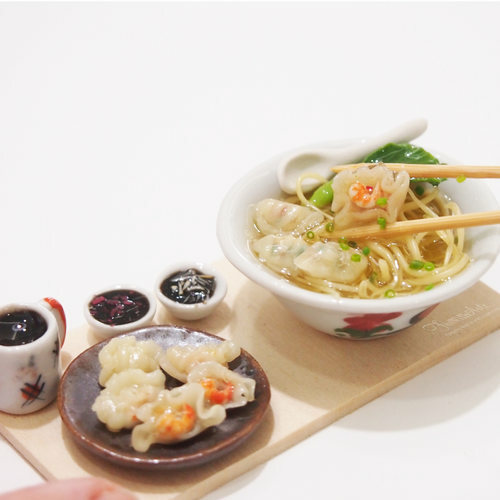 Do join us for this session of crafting using air dry waterproof resin clay and other materials to complete this delicious looking prawn dumplings Noodle set. 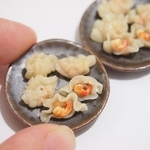 This session will teach using clay to make a full plate of prawn dumplings, ginger slices sauce and chilli sauce. 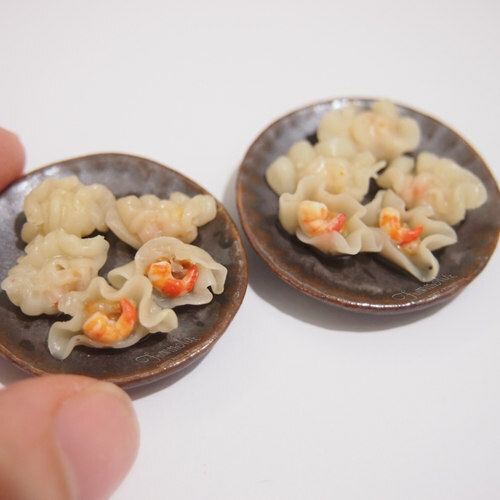 Complete the set with a 4cm Rooster Bowl of the dumpling noodle set. 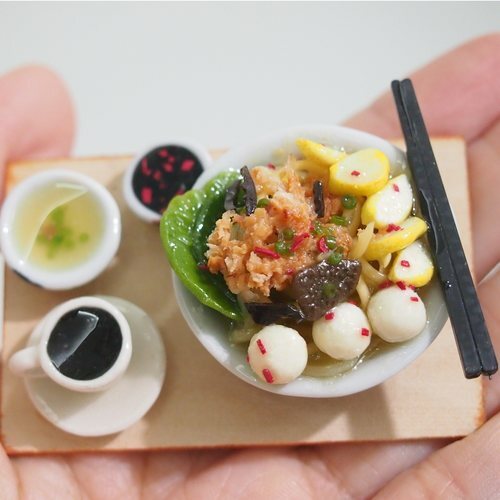 All materials provided. This workshop is suitable for beginners with a minimum age of 13 years and above.